Oh Santa, this would be such an awesome gift…I would love to have this! Santa, this is something I have wanted for so long. I have tried to be good this year:-) Please leave this in my stocking!!! So……been wanting one of these…..please Santa leave one under my tree! Thank you. Wow! This would be amazing to find in my stocking! I think this tool would make it so much easier to cut all the shapes you need for piecing and appliques. I hope Santa has me on the “nice” list. Santa Baby, I would love a Go Baby! Thank you so much for this wonderful prize! I have been looking at the Accu-quilt cutter for a long time but couldn’t make up my mind. Winning the Go Baby would solve the problem for me – whoo hoo! Merry Christmas to all from Judy R in Buffalo. Oh my! Who wouldn’t want this under their tree? I’d love to have it! Wow, Santa, would I love to see an AccuQuilt Go Baby under my tree this year! Think of all the wonderful things I could make, and this time maybe even finish! 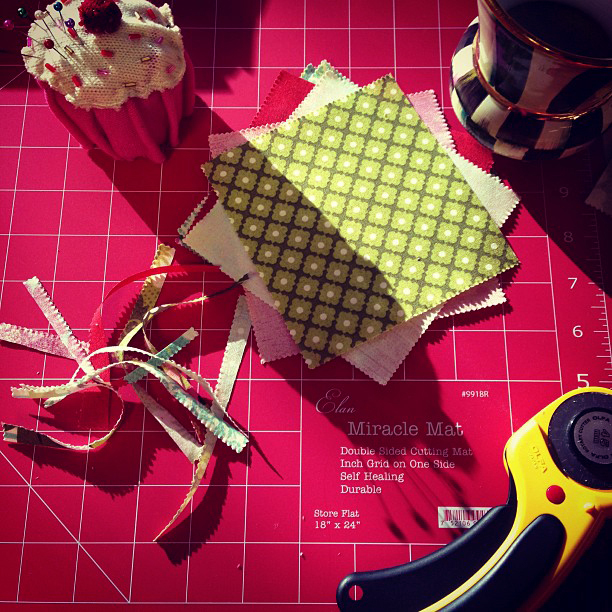 The AccuQuilt Go Baby would be an amazing gift under the tree ~ what a way to start quilting in 2013!